Best Home Gym Equipment Reviews Discussing The Most Expensive Protein Powders: Are They Worth It? Looking to make some serious gains with some serious quality protein? 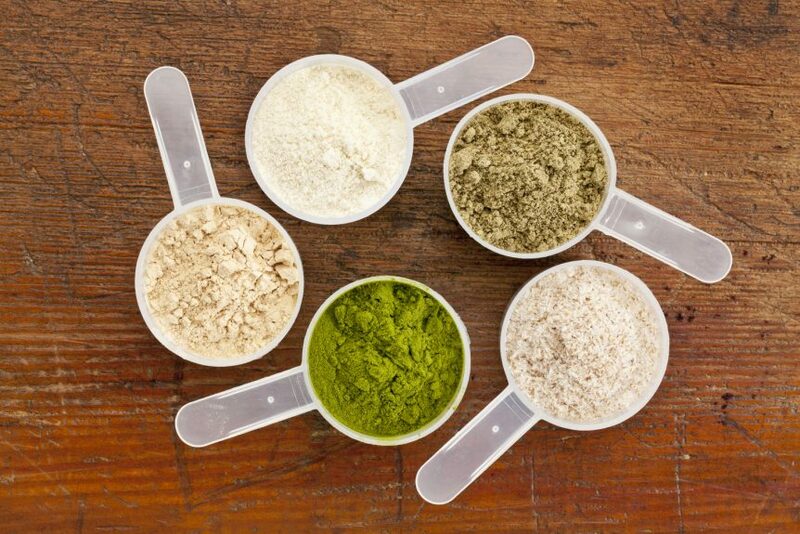 There are hundreds of different kinds of protein powders, and the quality and price fluctuate with each. There are some natural price floors and ceilings; but with protein, anything goes. In this article we’ll discuss the top 10 most expensive protein powders, and why they may or may not be worth the price. If you’re on the fence between some different high-dollar protein powders, you’ll want to pay attention. Why Even Use Protein Powder? Because there are so many different protein container sizes and serving amounts available, you can’t just sort things by the price on the bottle. The only fair way to categorize by pricing was to find each protein powder’s price per serving. This way, no matter what size the container was or how many scoops each serving required, the pricing was completely accurate. At $4.28 per serving, the Muscle Mass Gainer by Labrada is the topper for our list of luxury protein powders. As with most “gainers” (supplements designed to add maximum mass quickly), this is a little high on the price point, and it seems to negatively impact its reviews, with many buyers commenting on the high price. The price point on this item has earned it an 8.3/10 rating on bodybuilding.com. Pro Supps’ IncrediBULK, priced at $4.08 per serving (average for whey is around $1.30-$2.00 per serving) is the second most expensive protein on the market by serving. With a 9.1 out of 10 rating on bodybuilding.com and some rave reviews, this supplement appears to be a pretty good bang for the buck. Size has achieved a 9.7/10 rating from bodybuilding.com reviewers, but the price point of $3.68 per serving has limited sales and reviews. Not being one of the major brands, John Scott’s Nitro designed this powder for one thing: to put on mass. This powder is not for those who are shy of carbohydrates or fats. With an 8.4/10 rating and several repeat customers, this is one of the more popular mass gainer whey protein supplements on the market. The $3.50 per serving price point seems to have some merits for this high-calorie, high-protein weight gain supplement. Optimum Nutrition is one of the top brands in fitness supplements, especially with protein. Another weight gainer on the list, but this brand brings high quality protein, high calories and carbs with little fat per serving to the table. This powder was designed to put on mass, but keep the fat content low, and the brand following and product quality have earned it an 8.4/10 on bodybuilding.com. Another weight gainer by Dymatize? That’s right. This weight gainer, however, has about half the calories as its slightly more expensive counterpart, the Super Mass Gainer powder. Along with having half the calories, it has 3 more grams of protein per serving, focusing on a leaner bulk. This formula has topped Super Mass Gainer in terms of rating, with a 9/10 at $3.23 per serving. Our second list item from the premium brand Optimum Nutrition, Pro Gainer is another lean gainer with 650 calories per serving, along with 60g of protein and 85g of carbohydrates. The protein content is definitely on the upper tier, as well as the taste, according to the reviews and 9.3/10 rating, which makes it appear that the $2.96 per serving is worth it. This protein powder is lactose-free, and thus a great alternative for those that are lactose intolerant or vegetarian/vegan. With 53g of protein, 86g of carbs and 600 calories per serving, this gainer will definitely help you put on size. At $2.92 per serving and boasting an 8.8/10 bodybuilding.com rating, this protein powder seems to be edging out some of the competition at a lower price, but not quite a low price. We’ve all seen Muscle Milk in the gas stations next to the other sports drinks – this is its burlier older brother. CytoSport has been a trusted brand in the fitness community for quite some time now, but this is the lowest rated protein on the list. Even with the premium quality of the protein, added creatine and brand following product sports an 8.1/10 on bodybuilding.com at $2.76 per serving. As well as the other awards Optimum Nutrition has won for its supplements, it now wins the award for most populous brand on our top 10 list. The third and least expensive list item from Optimum Nutrition is its Pro Complex. Pro Complex is strictly a protein powder, not a weight gain supplements like the majority of other powders on the list, which makes it ideal for lean gains, diet maintenance or weight loss. As with other Optimum Nutrition products, it is widely used and wildly popular, at 9.2/10 priced at $2.75 per serving. Protein powder’s main use is, of course, to supplement your diet with the intake of additional protein. If you’re looking to pack on some lean mass, 1g of protein per pound of bodyweight is the rule of thumb for intake. If you’re 180lbs, getting 180 grams of protein into your diet PER DAY is no easy feat, unless you plan on eating 22 eggs. But why all the protein? Well, in short, your body needs it to grow. When you’re working out, you’re not just stimulating your muscles to grow, you’re ripping the muscle fibers themselves. In order to grow, you have to get in the gym and destroy those muscle fibers so that they can repair and build on top of themselves. But, to repair the damage you laid on them with that chest/tricep workout yesterday, your muscles are going to need protein. Whey protein is the most common protein powder, as it is usually the best bang for the buck. Whey is a byproduct of the processing of milk. Cheesemakers used to discard whey before the commercial value was realized. Most of the proteins on our list are going to be whey protein. As whey protein comes from whey, soy protein comes from – you guessed it – soy. Soy protein has gotten a bit of a bad reputation in some bodybuilding circles for lowering testosterone and thus hindering muscle growth. However, there have been several studies released on soy protein showing no difference in testosterone or estrogen levels than when whey protein was used. Soy protein, and other plant-based proteins are essential for vegetarian and vegan lifters, fitness enthusiasts or individuals just looking to supplement their diet with protein. If you have a dietary preference to shy away from products derived from dairy (don’t worry about whey isolate if you are lactose intolerant, as it’s almost pure protein), egg protein can be a good alternative. It hasn’t been studied as much as whey, but it contains a comparable amount of protein per scoop. Casein protein, also derived from dairy, is a great alternative for those looking to lose weight, as multiple studies have attributed casein with greater muscle retention during weight loss, and greater fat loss overall. No matter what your goals, there is a protein powder for you. As with many other things, if you’re looking for quality, you’ll end up paying a bit more. That won’t always mean that the most expensive protein powder is the one for you, but consider these proteins as options – many of them are worth the price tag.